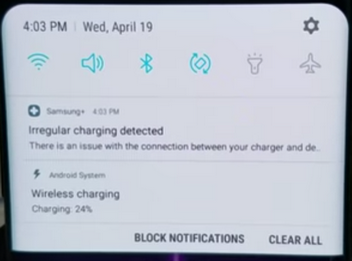 and “Irregular charging detected“ notification pop-up. And please check your wireless charger also. * Note 1: Even if “Samsung” Logo is printed or similar product label is attached, it may not be Samsung authorized accessory.